Powered by Intel® Atom™ processor E3826, NIFE 100S presents intelligent PC-based controller and IoT gateway for factory automation. NIFE 100S supports ACP ThinManager that offers simplified management solutions for the modern factory and supports Indusoft for HMI and SCADA. Supporting up to 4G DDR3L memory, NIFE 100S has several options on storage devices like CFast and SSD. The NIFE 100S support extended operating temperature from -20 up to 70° C with typical DC input 24V +/-20% range. 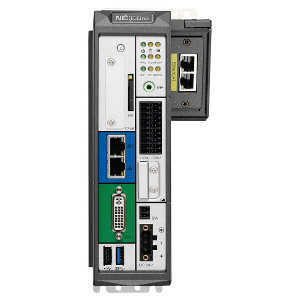 The NIFE 100S has high integration ability with optional Mini-PCIe module and 2 x COM ports with 2.5KV isolation protect, which allows for reliable connection with devices in factory automation applications (with optional PROFIBUS, ProfiNET, DeviceNET, EtherCAT, EtherNet/IP master module), IoT applications (with optional GbE LAN, Wi-Fi, 3.5G/4G LTE module) and communication applications (with optional GPIO, RS232/422/485). NIFE 100S is definitely the top choice for M2M intelligent system as a factory automation controller and gateway.